Today we hear from Qixiu Fu, a first year student at NYU Florence. She is thinking about majoring in psychology and feels fortunate discovered Florence. So much so that she is considering returning for Fall 2017. In two minutes, the sign up for Viareggio Carnevale was full. 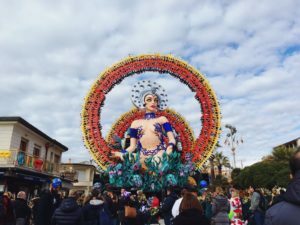 I was so excited that I got a spot on this free OSL (Office of Student Life) trip to Viareggio to visit one of the fascinating carnivals in Italy. The first Carnival of Viareggio took place in 1873 when there was a small parade of decorated carriages organized by the wealthy people of the city. Other local citizens were annoyed by their display of wealth, so they decided to wear masks to protest the high taxes they had to pay and to show disrespect toward the ruling upper classes. 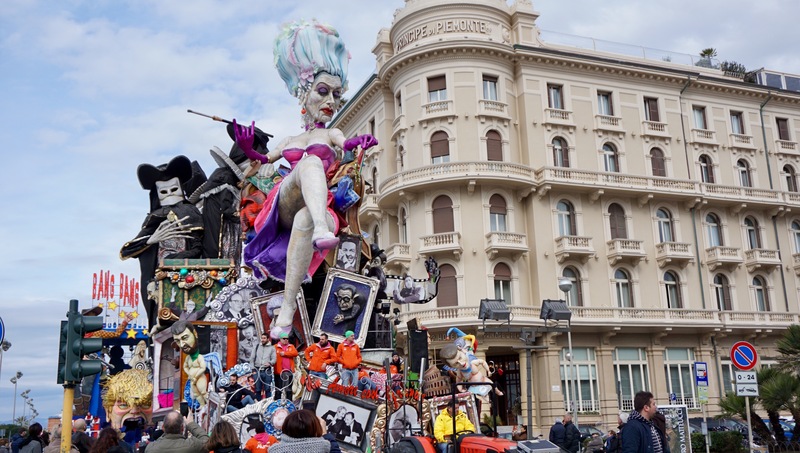 For our trip, we took a private bus to Viareggio and enjoyed a guided tour about the history of carnevale and this year’s floats. The guide told us that today Viareggio Carnevale keeps its tradition of speaking out. Talented artists, local citizens and tourists are all part of this powerful “protest”. 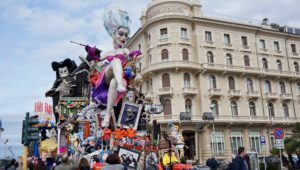 After we received our entrance tickets from the OSL staff, we followed our guide to the parade area where we learned about floats designed to imitate and poke fun at the world’s leaders, politicians, celebrities, and current events. This year, politics was in the spotlight. What amazed me the most was the dedication each team put into their choice of float design, choreographed dance, costumes, makeup, and music. Before visiting Viareggio, my impression of Italy was stereotyped to its good wine, delicious food and attitude of enjoying life. Then, I saw a different personality of Italy in Viareggio, the active and energetic one. 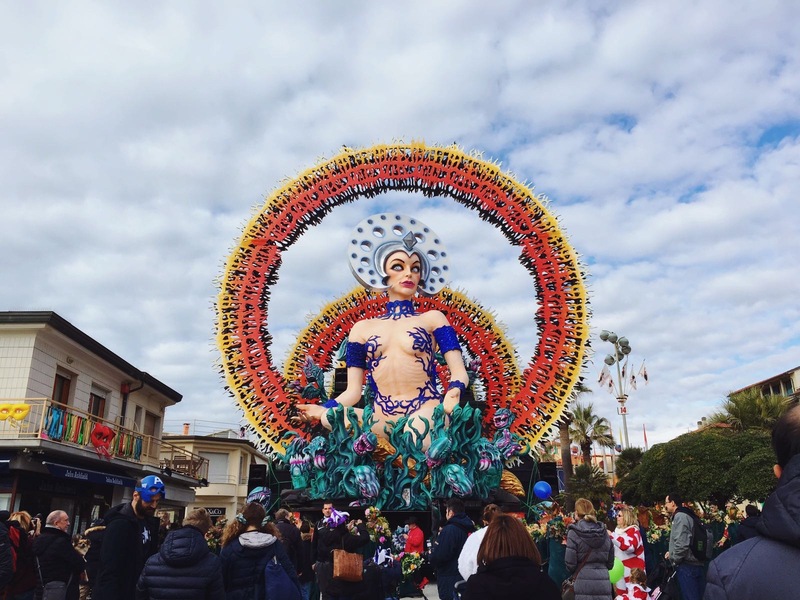 Viareggio is a place where you can relax by the beach and enjoy the chilly breeze of early spring, but it is also a place where you can immerse yourself in the fantasy and surreal colors of carnevale! This entry was posted in Florence, Students. Bookmark the permalink.